Beautiful Brick two story home located just minutes from US 35, Hospital, shopping, downtown and more! With over 3500 square foot of finished living space you will have plenty of room to roam inside. 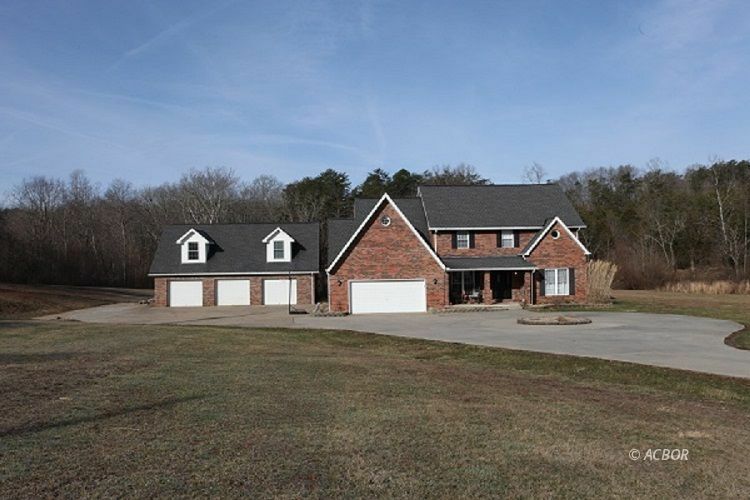 Outside features almost 3 acres of nearly flat land that would be a nice smooth ride on your riding lawn mower, or a great place for a game of Frisbee golf! Cozy family room has wood-burning stove in which flu is double walled SS. Large Second floor Master bedroom with his and her closets, huge master bath complete with tile flooring large walk-in tile and glass shower, whirlpool soaking tub and double vanity. Entire house has spectacular solid oak trim and doors; kitchen has custom oak cabinets and Corian counter tops with all stainless steel appliances. Recent remodeled second floor secondary bath has tile heated floors and plenty of storage. All the bedrooms have walk in closets and there is tons of additional attic storage. Driveway is entirely concreted and with enough parking for ANY size party or function. Three car detached garage is heated by propane and has a 900 square foot finished bonus room above with full bathroom. Home is fit with "NEST Thermostat System" .